He has contributed to the development of Renewable Energy research group in TERI and helped in the expansion of the Bangalore Division of TECS. Prof. Suresh has handled assignments, as a Principal Consultant, in a variety of organisational contexts, for both profit and non-profit sectors. He was a Faculty Member in IRMA, Indian Institute of Plantation Management (Ministry of Commerce) and ICFAI Business School. He has taught marketing courses and designed electives and has held academic administration positions such as Alumni Coordinator in IRMA, Special Focus Area facilitator in IIPM. He has also designed and conducted MDPs and associates with initiatives in developing Leadership in Public Services. He has also completed various modules of NEN-IIMB Entrepreneurship Educators Programme. 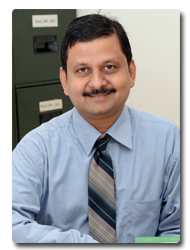 He is Co-Winner of Emerald - AIMA 2008 Indian Management Research Fund Award. Suresh, M.R. & Sharma, Govinda N.R. [Editors]. (2015). Conference on Corporate Social Responsibility. Mysore: Shri Dharmasthala Manjunatheshwara Institute for Management Development (SDMIMD). [978-93-83302-10-9]. Suresh, M.R., Sugant, R & Jayakrishnan, S [Editors]. (2015). National Conference on Consumer Behaviour: Contemporary Issues & Emerging Trends. Mysore: Shri Dharmasthala Manjunatheshwara Institute for Management Development (SDMIMD). [978-93-83302-13-0]. Gayathri, H., Suresh, M.R. & Sharma, Govinda N.R. [Editors]. (2014). Conference on Corporate Social Responsibility. Mysore: Shri Dharmasthala Manjunatheshwara Institute for Management Development (SDMIMD). [978-93-83302-03-1]. Suresh M. R. (2016). Strategic issues in marketing handicrafts: case of a state handicrafts development corporations. Cases in Management – Vol. V by N.R. Parasuraman, Mousumi Sengupta and Nilanjan Sengupta and G.Srilakshminarayana. [Editors]. Mysore: Shri Dharmasthala Manjunatheshwara Institute for Management Development (SDMIMD). [ISBN:978-93-83302-14-7]. Suresh, M. R. (2016). Leadership in social enterprise- dimensions and insights. Contemporary Research in Management – Vol. V. by Mousumi Sengupta and Nilanjan Sengupta [Compilers]. Mysore: Shri Dharmasthala Manjunatheshwara Institute for Management Development (SDMIMD). [ISBN: 978-93-83302-15-4]. Suresh, M.R. (2015). Product management practices in social enterprises – insight for mainstream business enterprises. Contemporary research in management – Vol. IV by Mousumi Sengupta and Nilanjan Sengupta [Compilers]. Mysore: SDM RCMS. [ISBN: 978-93-83302-08-6]. Suresh, M.R. New mantras in corporate corridors - from ancient roots to global routes. New mantras in corporate corridors: from ancient roots to Global routes. Global CEO 8(11); November 2008. 76-78p. Suresh, M. R. (2019). Strategic Dimensions of Altruistic Organizations: Insights and lessons from two initiatives-SKDRDP and Asha Kirana. 3D IBA Journal of Management & Leadership (special issue), ISBN 2230 – 7524, January-June, Volume 10 (2). pp.59-71. Suresh M. R. (2018). A ray of hope for people living with AIDS- Asha Kirana: Its Growth and Strategic Issues (a case study). Presidency Journal of Management Thought & Research (ISSN:2229-5275), Vol.8 (1), Jan–June, pp. 102-109. Suresh, M.R. Marketing of short shelf-life perishables: issues and lessons (Cover Story). Marketing Mastermind, September 2007, 45-49p. Suresh, M.R., Mishra, B.N. and Joshi, Veena. Harinagar rural energy development project. Vikalpa 15(1); January-March 1990, 53-56p. Suresh, M.R. (2015). Strategic Responses of Successful Enterprises - an Analysis across Ownership Forms. Third Middle East Conference on Global Business, Economics, Finance and Banking, SDMIMD and J A Alpha, Dubai, October 16-18. Suresh, M. R. ICFAI Business School, International conference on marketing and business strategy, Hyderabad, Jauary 5, 2009. Strategic responses of enterprises to changes in market environment: an examination across ownership - case study of Bharat Electronics Ltd., (BEL). Sridhar, M. K. and Suresh, M. R. PES Institute of Management, Bangalore and Indiana University, Pennsylvania; International conference on innovation and competitive advantage, Bangalore, January 2008. Innovations in public service delivery - a case study of Management initiative in School Education Department, Karnataka. Suresh, M. R. Indian Business Academy (IBA), International conference on expanding horizons of Indian business and Indian management, Bangalore, January 2008. In search of marketing orientation: an examination of marketing innovations of regional producers’ organizations. Suresh, M. R. and Veena Joshi. World Wildlife Federation (WWF), Asia forest policy workshop, Thailand, December 1992. Forest management institutions. Suresh, M. R. and Veena Joshi. The China Centre for Rural Energy, Research and Training (CCRERT), Symposium on Rural Energy in China, Beijing, 1987. Institutional aspects of rural energy. Suresh, M. R. Vellor Institute of Technology and University of Sydney, National seminar on rural marketing, Vellor, January, 2004. Marketing strategies of rural producers organisations : issues and lessons. Suresh, M. R., Veena Joshi and Mishra, B. N. National Institute of Rural Development (NIRD), Seminar on organizational dynamics of rural development, Hyderabad, July 1988. Dissemination of renewable energy technologies – experiences of a field team. Suresh, M. R. Medical Research Foundation – A. Anand: Institute of Rural Management (IRMA), 2003. Suresh, M. R. and Ramanujam. Marketing edible oil by Deshfed. (Case documented with special permission from Chairman, NDDB). Anand: Institute of Rural Management (IRMA), July 2001. Suresh, M.R. NBA and its customer satisfaction research. Anand: Institute of Rural Management (IRMA), 2001. Suresh, M. R. Launch of Arathi brand by Grofed. Anand: Institute of Rural Management (IRMA), 2001. Suresh, M. R. Marketing of mineral water by NDDB. Anand: Institute of Rural Management (IRMA), 2001. Suresh, M. R. A cooperative and its concept test problem (A case written for a customized MDP at IRMA). Anand: Institute of Rural Management (IRMA), 2001. Suresh, M. R. RBMUL set up a consumer panel. (A case written for a customized MDP at IRMA). Anand: Institute of Rural Management (IRMA), 2001. Suresh, M. R. Naz Hotel Project. (A case exercise based on a confidential TECS study). Anand: Institute of Rural Management (IRMA), 2001. Suresh, M. R. Marketing of handicrafts by Tribhuvandas Patel Foundation. Anand: Institute of Rural Management (IRMA), 2001. Suresh, M. R. Tribhuvandas Pate Foundation and marketing of patchwork products. Anand: Institute of Rural Management (IRMA), 2001. Suresh, M. R. Tribhuvandas Pate Foundation and its MIS problem. Anand: Institute of Rural Management (IRMA), 2001. Suresh, M. R. TTD and data flow diagram: a case exercise on MIS. Anand: Institute of Rural Management (IRMA), 2001. Suresh, M R and Honnungar, Vivek (2011), Review of Literature on Biomass, Draft working paper, TERI- SDC Biomass Project, TERI, New Delhi.